Weighing only half a pound, including Firesteel rod and embedded diamond hone Mora’s Bushcraft Survival knife provides no alibi for not having it with you. Traditional Swedish Mora knives have been around for over a hundred years and this style of all-business designs have become a trademark with commercial fishermen, butchers, and tradesmen, from roofing contractors and carpet installers to professional hunting guides. 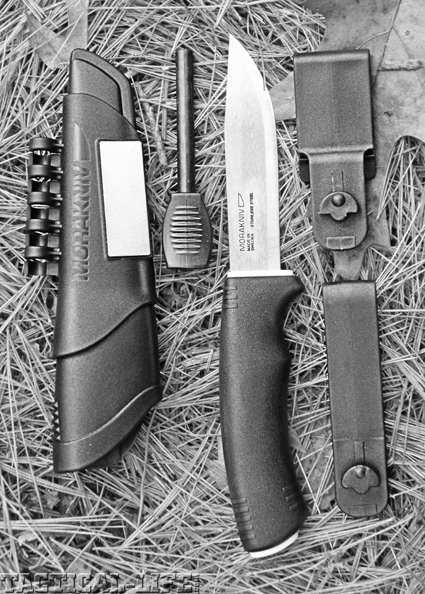 Morakniv’s new Bushcraft Survival follows a company tradition of making knives that git‘er done in a fashion that would make Larry the Cable Guy proud. 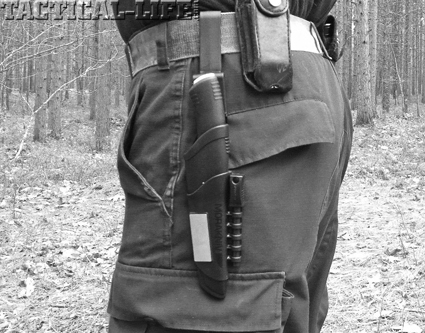 Latest in the Bushcraft line, the Survival model boasts the same 4.25-inch long clip-point blade as its older siblings. A nicely applied Scandi edge extends 0.25 inches up either side of the 9.25-inch blade, whose spine thickness of 0.100-inch ensures a sharp, thin edge that will cut longer and sharpen fast. 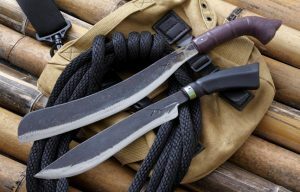 One of the thinnest fixed-blades to enter an arena that has been traditionally populated by thick, brutish blades, the Bushcraft Survival shows its mettle with a full-tang blade of Sandvik 12C27, hardened to RH 57-58. This super-fine, ultra-pure stainless alloy is renowned among commercial fishing crews for its resistance to corrosion, and for its ability to stay on the job longer between re-sharpenings. 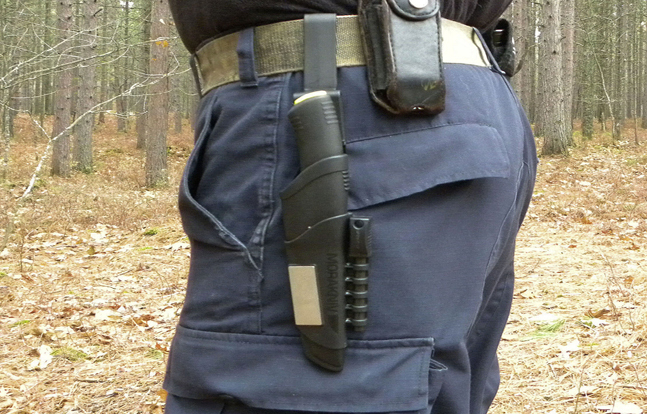 With several carry options, a field-proven design, and the tools to live through a tough situation in the woods, Mora’s new Bushcraft Survival poses a challenge to traditional survival knife manufacturers.